When you are looking to deliver your Mother's Day gifts instantly, nothing's better than our Same Day Delivery option. Get them delivered to our beloved mom within the day by opting for our Same Day delivery of Mother's Day gifts with Free Shipping worldwide. Flowers make for the most adorable gifts to send for any celebration. On the delightful occasion of Mother's Day 2018, surprise her with her favorite flowers. Choose from among our eclectic range of flowers consisting of Roses, Carnations, Lilies, Gerberas, Orchids, Daisies, Tulips, Bird of Paradise, Sunflowers, Gladiolus (Glads), Chrysanthemum, and more. 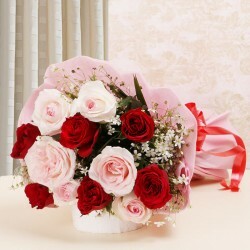 You can also send a mixed bouquet incorporating two or more floral varieties in the single bouquet. For sending something exquisite, why not go for one of our artistic arrangements! Our specially curated collection incorporates Heart-Shaped Arrangements, Flowers in a Glass Vase, Basket Arrangements, Alphabet Arrangements, and more. You also get the option to personalise your bouquet with the desired quantity of flowers, arrangement type, desired color of flowers, and more. Send Mother's Day gifts Same Day with our Same Day delivery services and make your gifts reach her right on time. Your chosen gifts will always reach her in the most pristine conditions and without any delivery hassles. Book a scintillating floral gift for your mom this Mother's Day and widen her smile a little more. Some of our unique floral gifting options include Photo bouquets, Gold and Silver-plated Roses, Chocolate bouquets, Bouquet of Teddies, to name a few. Pick her favorite and send it to your mother this Mother's Day alone or along with Chocolates, cakes and other gifts. Never settle for less! All our products are 100% genuine and authentic, and pass all the quality parameters. We never compromise on quality, ever! So go ahead and book a fascinating gift for her to be delivered on the very same day. 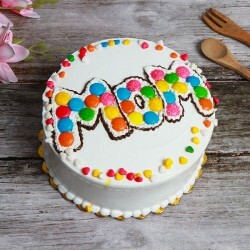 Add oodles of sweetness to your Mother's Day gifting with our exclusive range of Mother's Day cakes online. Choose from among the most amazing cake flavors viz. Strawberry, Vanilla, Red Velvet, Black Forest, Chocolate, Pineapple, Coffee, Butterscotch, Chocolate Truffle, Coffee caramel, and so more! 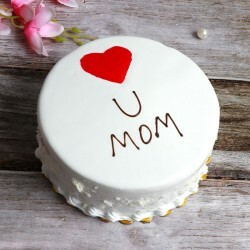 Our delectable range of Mother's Day cakes available online at our web portal consists of Photo cakes, Heart-Shaped cakes, Eggless cakes, Exotic cakes, 5 Star cakes, Special Theme-based cakes, Tier cakes, Cakes in a jar, Half n half cakes, Cupcakes and so much more! 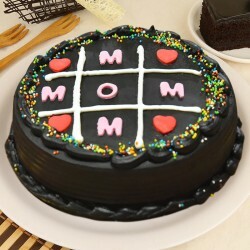 We have a huge den of Mothers Day special cakes that you can send to your mom with your warmest love and heartiest wishes. Celebrate Motherhood on this special day and make it extra special for her. 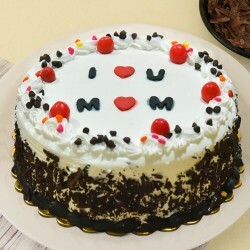 When flowers aren't enough, combine them with a heart melting cake. 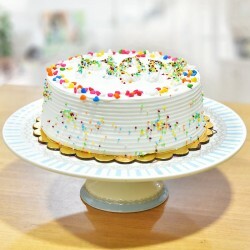 When you are in a look out of a cake for your mom, you might prefer to gift something healthy. 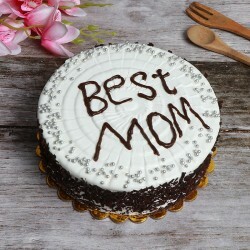 We give you the option to send a sugar free cake to your diabetic mom or deliver an eggless cake for your Vegan mom. Right from flavorful Eggless Cakes, Cakes in a Jar, Chocolate Bouquets to Sugar Free Cakes, we have it all! Make your choice and surprise your mom with sweetest gifts from MyFlowerTree this Mother's Day. 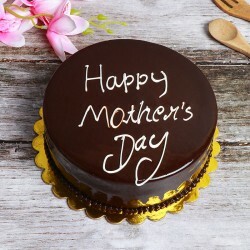 Apart from our stunning range of Flower Bouquets and Arrangements, and Mothers Day special Cakes, we have an extensive collection of Mother's Day gifts online to surprise your beloved mom. These include Chocolates, Artificial Jewellery, Flowers N Cakes Combo, Home Dcor, Flowers N Chocolates For Mothers Day, Perfumes, Candles N Aromas, Gourmet Hampers, Flowers N Greeting Cards For Mothers Day, Mothers Day Special Greeting cards, and so much more! You can choose Green Plants to take care of her health while you are away and send them to your mom this Mother's Day to make it all the more special. Talking about our personalised Mother's Day collection, we incorporate many fascinating options to bring a sweet smile on her pretty face. Choose from among our Personalised Printed Cushions with fillers, Granite Stones, Personalised Ceramic Mugs, Photo Bouquets, Caricatures, Wooden Plaques, Photo Cakes, Wooden Frames and Personalised Aprons, to name a few. All of our personalised gifts can be sent with the help of our custom delivery options, the delivery of which take time as we curate it with lots of love and wrap it up in a delightful pack to create magical moments to cherish. Send them as a token of appreciation and love on this delightful day of hers and let it stay in her memories for long. Go for Same Day Delivery of our Mother's Day gifts and honor your mom with delightful surprises going all the way to her for a fun and frolic celebration. Order Mothers Day gifts for Same Day delivery and send it anywhere in India. We provide Free Shipping worldwide. With us, you can place your orders in just a few clicks at the comfort of your home or office, and send gifts right on time at her doorstep!